Answer: I’m sorry. I can’t stand the constant Millennial click-bait analysis either. I really didn’t want to write a column about Millennials (born early 80s through the 90s), but here we are. Having been asked the same version of this question four times this month during meetings with homeowners, I figured it was worth addressing. It makes sense to study the entire generation for things like media consumption, something that people do at all ages, but not home-buying. Currently, the youngest Millennials are just heading to college and the oldest are in their mid-to-late 30s. Historically, the average first-time homebuyer has been in their early 30s, so we’ve only seen about one-third of the generation reach average home-buying age. Let’s wait for more of the generation to reach their early 30s before we make broad assumptions about their home ownership preferences. I’m confident that 5 years from now, home ownership trends amongst Millennials in the DC Metro will be as strong or stronger than previous generations. The 20-somes I meet with are eager to stop renting and start building equity. For those that point to Millennials waiting longer to buy their first or second home, historical perspective is important. The oldest third of Millennials (those in their 30s) were in the early stages of their careers during the Great Recession so the generation got off to a slow start saving up for a down payment and building an income to support a mortgage. The Great Recession also led to tighter lending practices (rightly so) requiring higher savings, higher incomes, and more restrictions than before. Couple that with the difficulty building a savings and income, as noted above, and even those highly motivated to buy were forced to rent a bit longer. Home buying is often aligned with other major life milestones like marriage and having children. As reported by ARLnow last week, the NY Times just released a study showing that Northern VA has three of the top ten counties with the highest average age for first-time mothers. I believe this is tied to us having the most educated population in the US, thus people are spending their 20s focused on education and careers, not thinking about marriage, children, and buying a home until later in life. This does not mean Millennials don’t believe in home ownership, as many news articles have led you to believe, they’re just not rushing to get there. 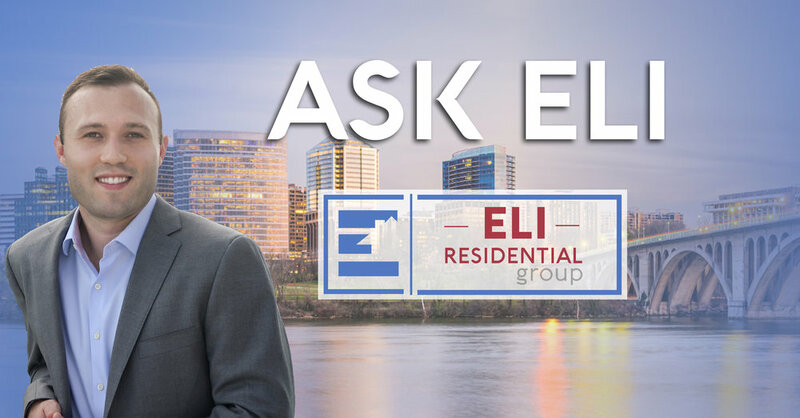 Whether you are a Millennial navigating your first home purchase, a Boomer or Silent Generation homeowner looking to “right-size,” or anywhere in between, the Eli Residential Group is here to help. Call (703-539-2529) or email (Eli@EliResidential.com) me any time to talk or schedule a meeting.